Morning Glories: our thirst. . .quenched! This week has looked like this. . .
-made tea and then forgot about it and then reheated my tea and then forgot about it again. . . I've had a lot on my mind and have consequently been forgetful and distracted. I've accomplished some tasks and crossed off several items on my super-long to-do list, but still. Yesterday, after putting the finishing touches on dinner, mid-afternoon, I finally realized I was parched! I hadn't had anything to drink all day. I was thirsty! I filled a glass with water and sat down to breathe and drink. And as I was filling my physical thirst, I realized I hadn't yet filled my spiritual thirst for the day. I picked up a collection of devotions for this Easter season and was led right to "I Am Thirsty" by John "Skip" Ryan. 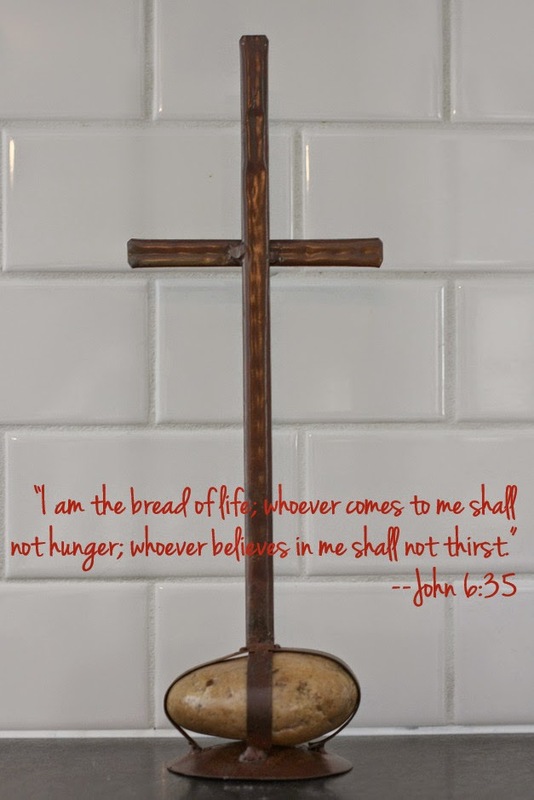 Skip makes several points in his devotion, but what hit home for me was his thoughts on John 19:28, when after being hung on the cross, but before he died, Jesus said, "I thirst." He wasn't speaking of physical thirst. Skip points out that Jesus hadn't complained about anything else on the way to the cross--not when he was beaten and whipped or had a crown of thorns pressed into his head or nails driven in his hands. So, he wasn't complaining about being physically thirsty, but instead he was weighed down by the sin he bore because of us, for us. He was thirsty for Heaven, for His Father. Nothing else could fill that for Jesus and nothing else can fill that thirst for us either. Our days are filled with errands and meetings and school and cleaning and playing and cooking and parties and on and on. And we can find ourselves worn out. Forgetful. Distracted. Only the Lord can quench our thirst! My devotion this morning (Oswald Chambers - Easter) was similar. When Jesus was in the Garden of Gethsemane, he wasn't crying to take the cup of death away from him. He always was ready to die. It was the deep groaning agony of having to take on the sin of the world and the separation from God.